Final Fantasy XV gets a lot of credit for opening up the world and creating a seamless transition between field exploration and battle, but longtime fans of the series know those innovations actually came 11 years ago with the release of Final Fantasy XII on the PS2, a game considered well ahead of its time by many. 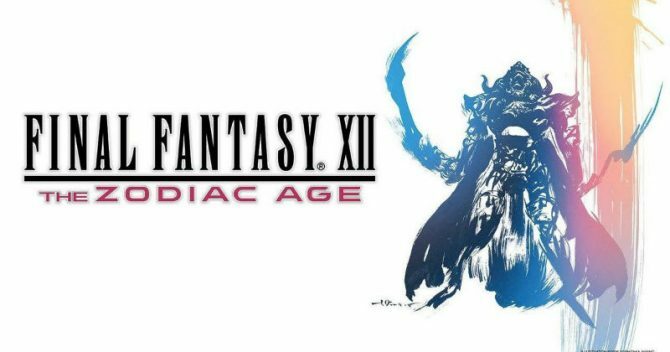 Now that its ideas have come into the mainstream without requiring a total overhaul, it does seem like the perfect Final Fantasy candidate to get a remaster — and so it will on July 11, when Final Fantasy XII: The Zodiac Age launches for PS4. Read on to get plenty of insight into both the original game’s development as well as what’s in store for both newcomers and expert players when it comes to the HD remaster. I’ve heard Final Fantasy XII called a “game ahead of its time,” and I definitely believe that’s the case. It seems as though the game was designed like a single-player MMO, and with other games of this ilk like Xenoblade Chronicles seeing great success, it seems like XII could be poised to have a much warmer mainstream reception this time around. Do you think players are in a position to better appreciated what was created now? Game Producer Hiroaki Kato: The Final Fantasy series has always been a series where we take on new challenges to create new game systems for each title. For XII, like you said, we wanted to create a sort of “single-player MMO” type of title… and we did get some feedback that it may have been a little too soon, or that it was a little bit ahead of its time. But when we were developing The Zodiac Age, we found that it still works really well, even in this generation. You mentioned new game systems for each title, which actually leads into my next question! One of my favorite things about every Final Fantasy game is just how strongly each one carves out its own place in the series’ history. They all have the same feel that let you know the game is Final Fantasy, but they’re also completely different from the ones that came before them. Given a chance to reflect on XII with The Zodiac Age, what do you see as the defining elements of this installment? Game Director Takashi Katano: I feel that the seamlessness of the transition between field exploration and battle generates a feeling that you’re really connected to the world. Of course, now we have Final Fantasy XV so it’s not completely new anymore, but that was the new thing we brought to the table with XII. I also think the character growth system in this game is very unique… we do have the Zodiac Job System implemented in it, which does add that extra depth of strategy in how to create and develop your characters. We also have the Gambit system, and just combining those two together just creates so many ways for players to fight each battle. Oh good, I have a question about those systems, too! The Gambit and License Board systems are two of the most interesting mechanics ever implemented in the series. The Gambit system in particular kind of reminds me of the very basics of computer programming… you know, cause A makes effect B happen, and there’s a certain order in which all this is supposed to occur. Am I on the right track, or totally off-base with reg how this system was built? HK: Just to give you some background on how we first came up with the Gambit system… we actually had a very early version of it in Final Fantasy IV on the Super Famicom, but it wasn’t for your characters, it was actually for the enemy monsters. The person who created that Gambit system is Hiroyuki Ito, who was the battle designer for IV and the main game designer for XII, and when we first started thinking about what to do with [the original version of XII], he thought it would be very interesting for the players to have that system for themselves. Up until that point, RPGs had all used command-based systems, where players just selected if they wanted to fight, use magic, or an item… and there were a lot of players who would just press one button to grind through. And so Ito thought that it might actually be more fun if they gave an incentive to stop grinding that way with a seamless, semi-automated battle system instead. So we carried over the old Final Fantasy IV Gambit prototype, made it more complex, and made it so users themselves could implement it with their characters. TK: And so we’ve just given you a little bit of insight into where the Gambit system came from, but the reason why we chose to use it for XII in particular is because of the seamlessness we wanted to have that we mentioned earlier. In the case of purely command-based battle systems, it’s simple on the development side because all you have to do is make a menu, but for our “single-player MMO,” the player had to be able to move around the map while also performing an action. We thought the Gambit system was a perfect match for this style of play. Lots of good segues here… you mentioned Ito-san, and I have a question about him as well! He led the development of this title, and is famous for (among other things) creating the ATB system and working on both VI and IX. He is, in my mind, the greatest Final Fantasy creator of them all (don’t tell Kitase-san or Tabata-san I said that, though). HK: (laughs) Oh, maybe I should tell them! No, please don’t rat me out! My question is, did Ito have a lot of input on where this remaster went? Was he kind of standing by making sure not too many changes were made to “his baby,” and was that intimidating at all? HK: So Final Fantasy XII: The Zodiac Age is actually based off of the International Zodiac Job System that was only released in Japan in 2007, a year after the original Final Fantasy XII. Ito was actually a director on the original version, but he actually let the younger staff take the reins for a lot of it — though he still oversaw everything, of course. When it came to IZJS, though, he actually went in and redesigned a lot of the battle systems to his own liking! And so that was actually like a precursor to The Zodiac Age, in which he’s put all of his expertise and input into the project… it’s like a director’s cut of a film, in a way.